Get Wild! Be a Kettering Parks Volunteer! 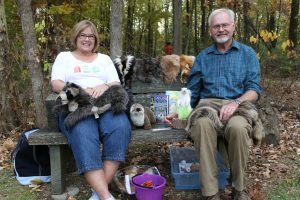 If you like to be outside and would like to bring the love of nature to others, consider volunteering for the Kettering Parks Habitat Environmental Education staff. We offer Land Lab K-5 programs, as well as summer science and nature camps, environmental programs and events for all ages. For more information, call the Habitat Environmental Center at (937) 296-2477 or contact the volunteer office at (937) 296 – 2433 or KetteringVolunteer@Ketteringoh.org. If you have a passion for a certain nature topic or have abilities in areas that aren’t listed, please let us know. We have volunteer opportunities for individuals of all ages and abilities. 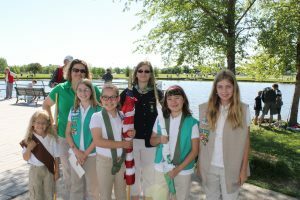 • Group volunteer opportunities are also available for woodland cleanups, event help, etc. Volunteering for summer camps is fun and rewarding. 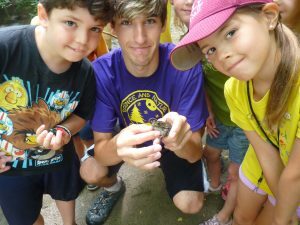 Hours are available for nature, art, sports, and recreation camps. Parents are also welcome to attend this informational meeting. Contact the volunteer office at (937) 296-2433 or KetteringVolunteer@Ketteringoh.org for more information.